Our aim is to offer as wide a range as possible in new and used laundry equipment including washers, dryers, ancillary equipment and spare parts. 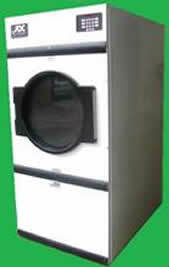 We can offer single-phase, boiler-fed, top loading large washing machines at 18lb dry weight capacity in either coin-op, token-op, or manual start. In single-phase, rigid mount, front loading machines - we can offer capacities up to 22lb dry weight with the further options of self-heat, sluice, coin-op, token-op, or manual start. 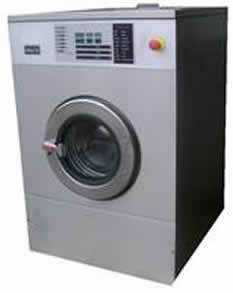 In dryers, we can offer machines from 18lb capacity up to 75lb in natural gas, propane or electric heat. They can be supplied in manual start, coin or token-op, albeit that at the top end they are more likely to be manual start. We stock a full range of new and second-hand parts for most popular makes of commercial laundry equipment as well as the not so popular. We are committed to making our prices on parts competitive because we want your business. Whatever the make, model, or age of the machine, ring Darren for a price. Payment can be made on most debit or credit cards.